URGENT - Missing Person - Our Volunteer Eddie Willingham is Missing! 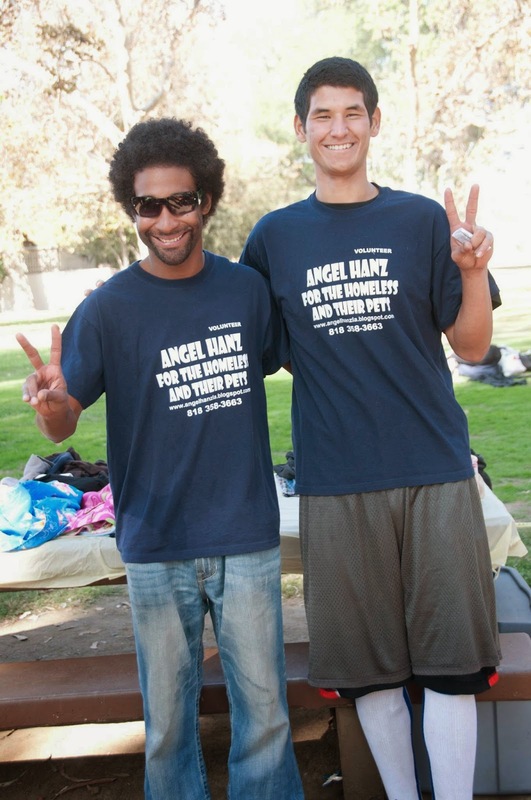 Angel Hanz for the Homeless volunteer and good friend of Angel Hanz has been missing since February 27th. Eddie Willingham was last seen at his campsite at Hansen Dam on February 27th. His keys, wallet (with cash) driver's license and dog were all found at his camping site! If you have seen Eddie, please contact Angel Hanz at 818.358.3663. Los Angeles: The family of Edwardo Jett Willingham and the Los Angeles Police Department’s Missing Persons Unit are requesting the public’s help in locating Willingham. Willingham was last seen on February 27, 2014, around 6 p.m., near the brush area of the Hansen Dam in the City of Los Angeles. Willingham was camping/living in the flooded basin area of the dam at the time of the heavy rain storms. He has not been seen or heard from since. His friends are extremely concerned for his welfare. Edwardo Jett Willingham is described as a 28-year-old male with black hair, brown eyes. He stands 5 feet 10 inches tall and weighs 140 pounds. Edwardo Jett Willingham was last seen wearing a black sleeveless t-shirt. Anyone with information on Edwardo Jett Willingham whereabouts is asked to contact LAPD, Missing Persons Unit, Detective Carlton at (213) 996-1800. During non-business hours or on weekends, calls should be directed to 1-877-LAPD-24-7 (877-527-3247). Anyone wishing to remain anonymous should call Crime Stoppers at 1-800-222-TIPS (800-222-8477). Tipsters may also contact Crime Stoppers by texting to phone number 274637 (C-R-I-M-E-S on most keypads) with a cell phone. All text messages should begin with the letters “LAPD.” Tipsters may also go to LAPDOnline.org, click on "webtips" and follow the prompts. Volunteer Eddie Willingham (pictured in glasses) has been missing since February 27th. Read his missing person post for more information. and Job Resources for the homeless! !